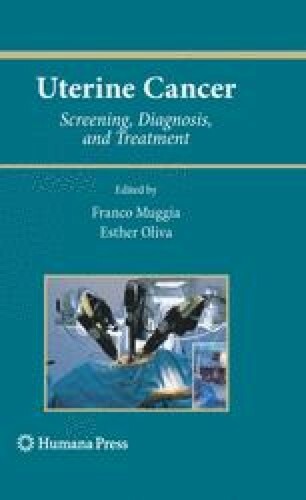 Radiotherapy has been used as an adjunct to surgical intervention for the last five decades, in view of documented effect on local control and reduced rates of vaginal vault recurrences. As surgical staging became established as part of the initial approach, a reassessment of the role of radiation in well-staged patients with low and intermediate risks of recurrence is ongoing. Intracavitary brachytherapy has low morbidity and is often used to reduce vaginal vault recurrences. External beam radiotherapy, on the other hand, achieves local control at the cost of some morbidity, and its impact on survival is uncertain.